What better way to ride your tenth metropolitan winner than at the states premier track, Flemington. 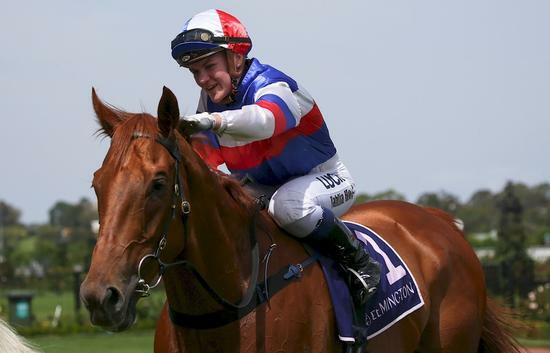 It was a dream come true for Tahlia especially to ride her first Flemington winner on Chamois Road for one of her greatest supporters in Patrick Payne. She also paid special tribute to her team behind the scenes, Riding Agent Sam Murray and Dean Pettit for their help with form and speed maps. Chamois Road has been a flag bearer for the stable racing 44 times for an amazing 13 wins and 21 placings with prizemoney earnings in excess of $600,000. This is the first time Tahlia has ridden him in a race although has ridden him before in trials and gallops. Judging by her well timed ride it won't be the last time she sports these colours on Chamois Road.